I was tagged by the lovely Aura Eadon to answer the following questions from Nicolette Elzie’s blog. The first thing I remember writing was at school, when English lessons consisted of taking a red book, the top half plain and the bottom lined, and writing whatever came into your head. My time was spent penning terrible cliché riddled pony stories complete with equally bad illustrations (I am no artist!). I didn’t think I was good enough to be an actual writer, as in it paying the bills. Anything artistic wasn’t a proper job, or so I was led to believe. I like paranormal fantasy but I like to base it in the modern world, so urban, dark fantasy might fit the bill. But I like to add a twist of horror too. To be honest I don’t like fitting a story into a neat little genre box. It will be what it wants to be. My current work in progress is the sequel to my first book, The Making of Gabriel Davenport. 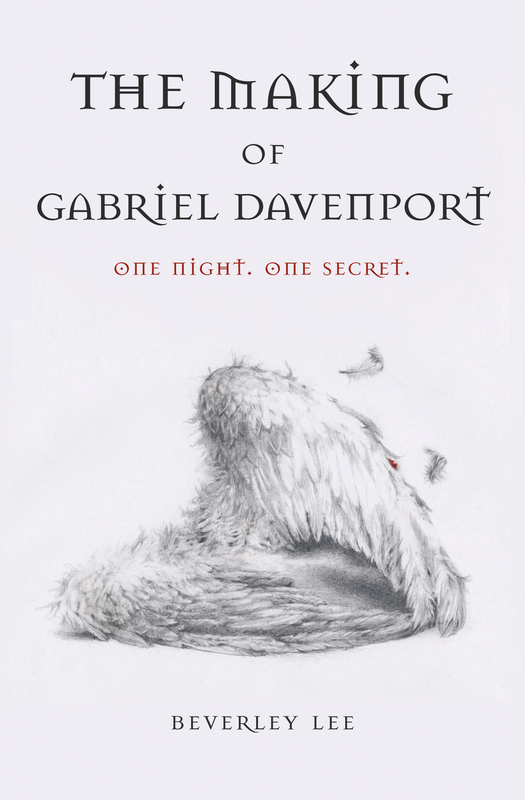 It tells the story of what happened after *that* night at The Manor, when Gabriel’s world was torn apart. I started it about 5 months ago when I was waiting for beta reader feedback on the first one, and it has become a thing with a mind of its own. I have a couple of smaller projects lined up as soon as it is done, a novella length dystopian tale which will be written in a dual narrative with another writer (excited about our collaboration!) and a short story, hopefully for an anthology, set in the Middle Ages, which has a paranormal twist. Creating a character who suddenly takes over in your head and leads the story. They become a living, emotion filled being , in charge of the words flowing from your fingers. That high is golden. The days when the words stick like treacle and everything sounds stilted. The editing phase where there is SO MUCH TO DO and you think that it will never make sense. It depends on the week. Some days I’m lucky to grab an hour or a minimum word count, but it’s rare that I don’t do something. Other days I have a completely free day. I usually write in the afternoon but I don’t think I have a time that is best. No. Does having a writing qualification make you a better writer? I’m not sure. It might make you a better technical writer but I believe that your voice is something you have to discover for yourself. Spelling *and* grammar. Your and you’re grate at me like nothing else! Just write the damn story. Any amount of words is progress. Don’t think you have to churn out a thousand a day to be a ‘proper’ writer. I don’t have any specific sites. I have a huge amount of bookmarks and Google is a writer’s best friend, but some of the ones I do use are Emma Darwin’s ‘This itch of Writing’, Writeability, Sara Whitford and Sydney Strand. The best supportive group on the internet are the people of the Monthly Writing Challenge. Without them I’d still be manuscript-less and wallowing in my own ineptitude. I like to read obviously, although I don’t do it enough. I walk a lot, it’s when I iron out any plot holes or plan the next few scenes. Once a week I go to a Pilates class to smooth out the kinks spent from sitting too much. I love movies and box sets – Breaking Bad and Dexter being two of my favourites. Let’s see. That would either be the brilliant The Death House by Sarah Pinborough or Tantalus by Jane Jazz. The Fault in Our Stars. Because it made me cry. The Vampire Chronicles by Anne Rice. George R R Martin’s A Song of Ice and Fire. I don’t have a favourite. Those above. Stephen King, of course. Neil Gaiman. Hilary Mantel. I’m querying The Making of Gabriel Davenport at the moment. The editing on Book 2, (The Bloodvyne), will start after I’ve let it sit for a while, but I’ll do a note taking draft to keep it in my mind. It was National Poetry Day this week and I posted a couple of snippets on Twitter to honour this. A few people asked me for the full versions so I hunted them down on a very old flash drive! Poetry became a passion of mine round about the time I wrote these (2001/2003). It filled a creative gap that I needed. I’m a firm believer that the words, in whatever form, come to you exactly when you need them. beverley lee writes Blog at WordPress.com.